Learn from Elijah, a man just like us, but used by God to reveal who God is and to confront idolatry. Accessible and flexible Bible studies on the life and ministry of a well-known Old Testament character. Elijah burst into Israels history at a time of idolatry and evil. Through him it was confronted and exposed by God. But this man, just like us, also knew weakness and failure. Not so much a mighty man, as a man serving the mighty God. In Gods grace, Elijah persevered, and revealed Gods mighty sovereignty, grace, power, justice, and salvation. Christians today face the same pressures that Elijah experienced. Elijahs ups and downs speak to us too. 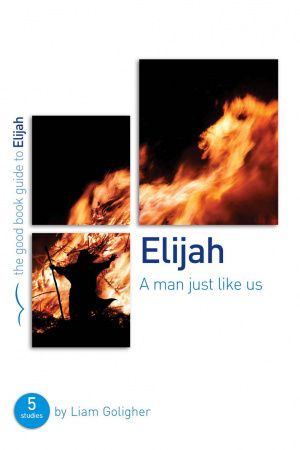 Elijah : A man just like us by Liam Goligher was published by The Good Book Company in February 2014 and is our 41109th best seller. The ISBN for Elijah : A man just like us is 9781909559240. Be the first to review Elijah : A man just like us! Got a question? No problem! Just click here to ask us about Elijah : A man just like us.